Providing good automotive maintenance keeps your vehicle ready to go when you need it. So, choosing the best course of action for your vehicle is very important. Many greases and oils tend to be a magnet to dirt and dust. Once this happens, these parts can effectively lose their lubrication and potentially could cause problems. SLIP Plate® products leaves a dry-film of slick graphite that keeps foreign particles from sticking. It is also very resistant to water, snow, and ice. SLIP Plate® can be used to restore the surface of many engine and exhaust parts to look like new. Unlike many paints, SLIP Plate® performs at temperatures of -45ºF to 450ºF (-42.8ºC to 232.2ºC). 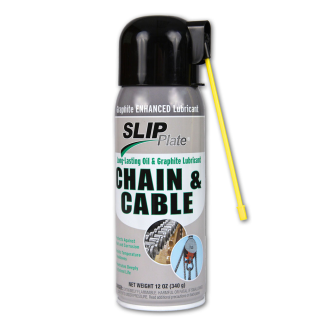 Also, SLIP Plate® Penetrant Plus and SLIP Plate® Chain & Cable are great wet lubricant products that can help break up those rusted/corroded parts and keep things operating better with the power of graphite. 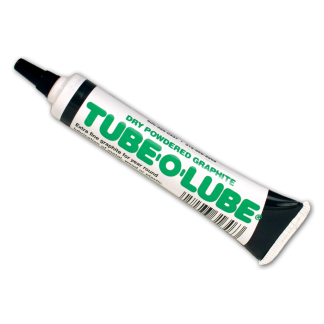 Tube-O-Lube® is a fine graphite powder that has been used on door locks and hinges for many years. This can also be used on screw threads that require easy removal. 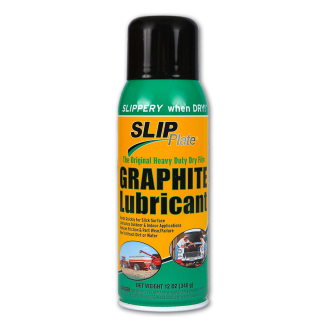 Slicker and longer lasting than other graphite coatings and lubricants, SLIP Plate® products will keep your vehicle equipment running smooth and looking good.